Get Involved>Action Center>Help us protect national service! Help us protect national service! On Monday, February 12, 2018, the President released his budget proposal for federal fiscal year 2019 that again calls for undermining our nation’s bipartisan commitment to national service. The President’s budget calls for eliminating the Corporation for National and Community Service, which funds AmeriCorps and other national service programs. However, it is important to remember that Congress ultimately decides what gets funded, not the President. Therefore, we need you to contact your members of Congress and urge them to reject the President’s budget proposal. 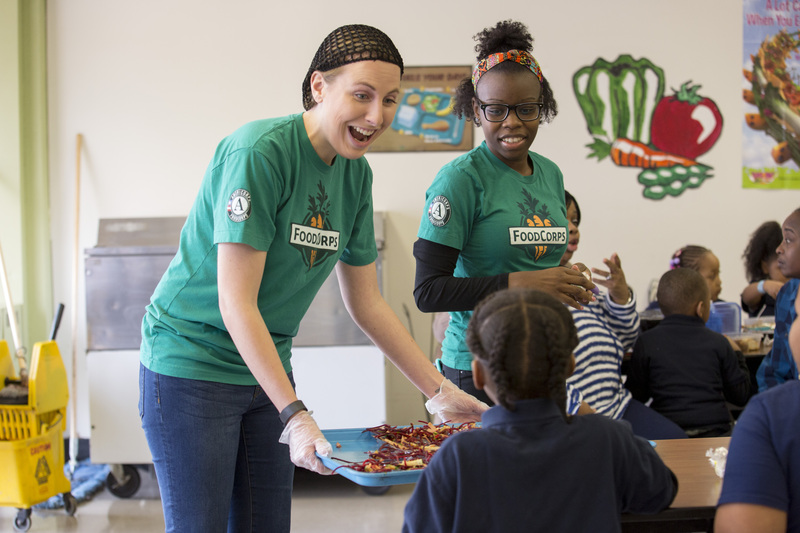 Dedicated AmeriCorps members from FoodCorps, and other national service organizations, are serving in communities across the country in vital ways – teaching kids, protecting public lands, supporting senior citizens, and more. Last year, thanks to your advocacy, we were able to beat back this harmful proposal. Please lend your support again and email your legislators now!